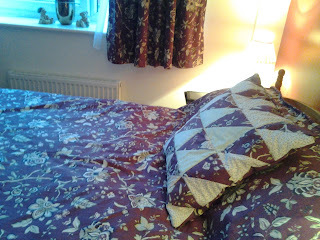 I have just had a busy but productive three weeks replacing all the soft furnishings in our apartment. I knew that spending any longer on it I would be itching to start something else so I had a self imposed deadline to stick to. I get asked a lot of questions through my blog, twitter or email and almost everybody says the same thing, that they feel daunted by some sewers who , they think, produce nothing but perfection and it puts people off because they do not feel that they can aspire to that standard. So, it set me thinking. 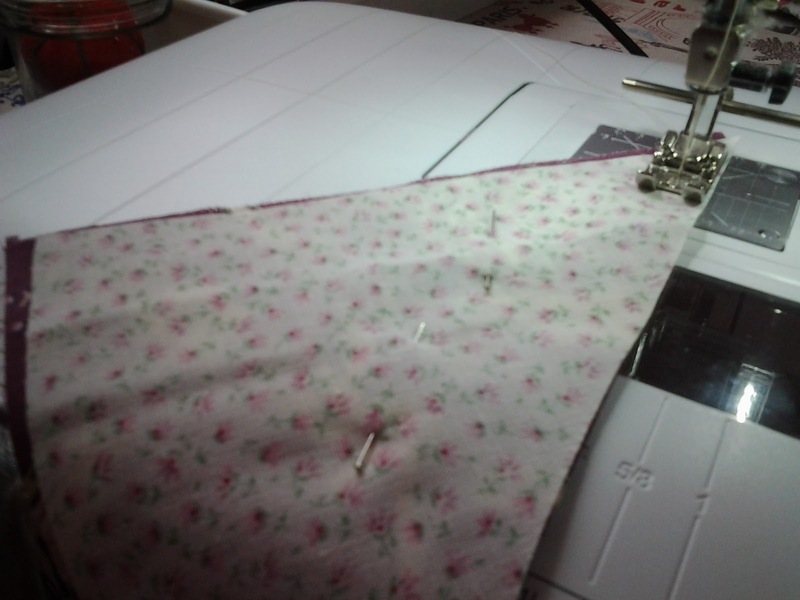 I have been sewing for more years than I want to remember and I have been to college too yet I still make mistakes! The thing is nobody is perfect, go and look at clothes in shops, do they look well made? Probably not, probably that is one reason why you want to learn to sew. 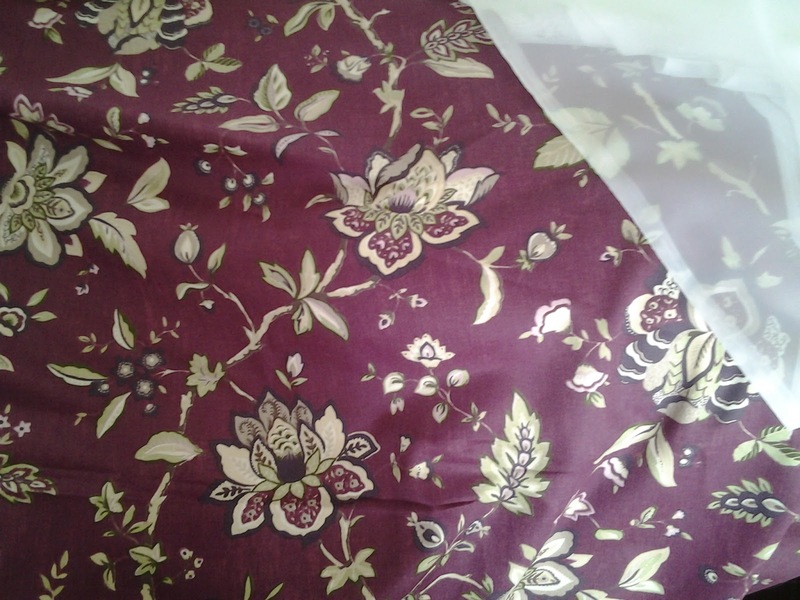 So, what I want to say is this, it does not matter if a seam is wonky or a dress did not turn out as you expected As long as you are happy with it that is all that matters, at worse you have an awful dress to garden or decorate in! 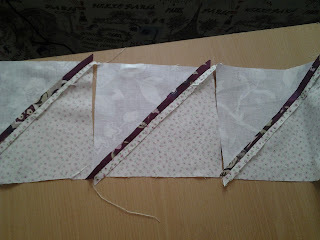 We only really learn from our mistakes so when your dress does not fit you will know next time to measure yourself properly and cut out the correct size, you will know to make a toille first and use a seam guide if you can't sew straight. These are learning curves so embrace them for what they are. 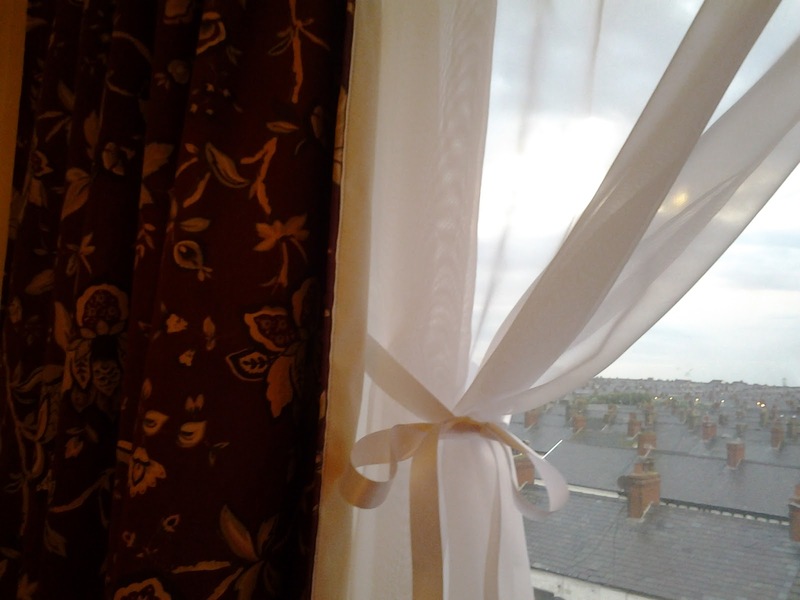 Anyway, back to soft furnishings. I am going to keep things simple and also upcycle where I can. 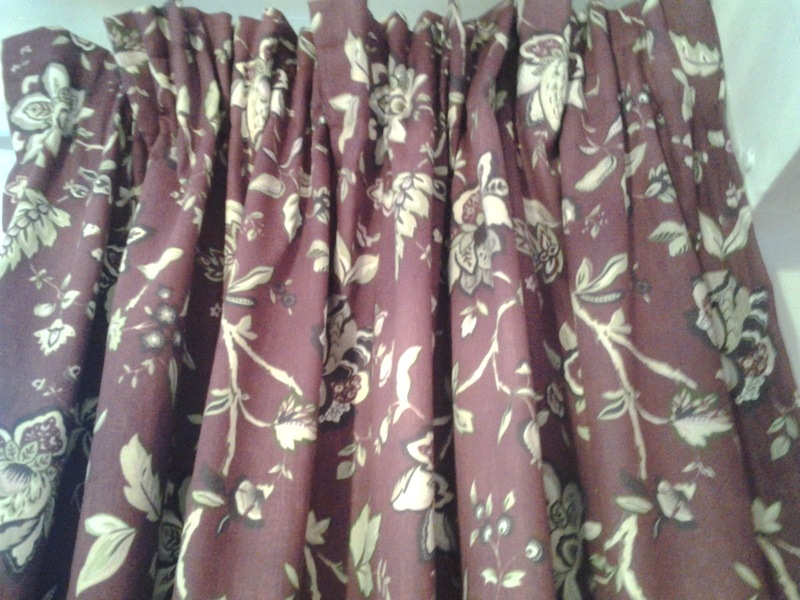 In addition to the new curtains, lined with a thermal blackout fabric, and new voille curtains,I also made a valance, a bedspread and a quilted cushion. 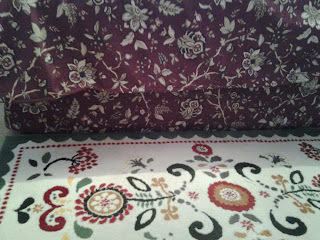 I have shown how to make curtains before, so let's do the patchwork cushion. 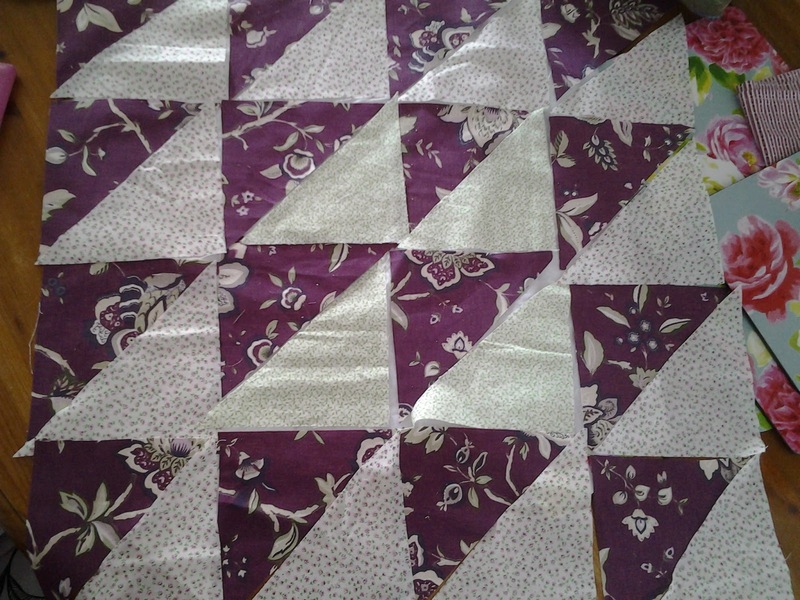 I chose half squares because they are quick, easy and look good. 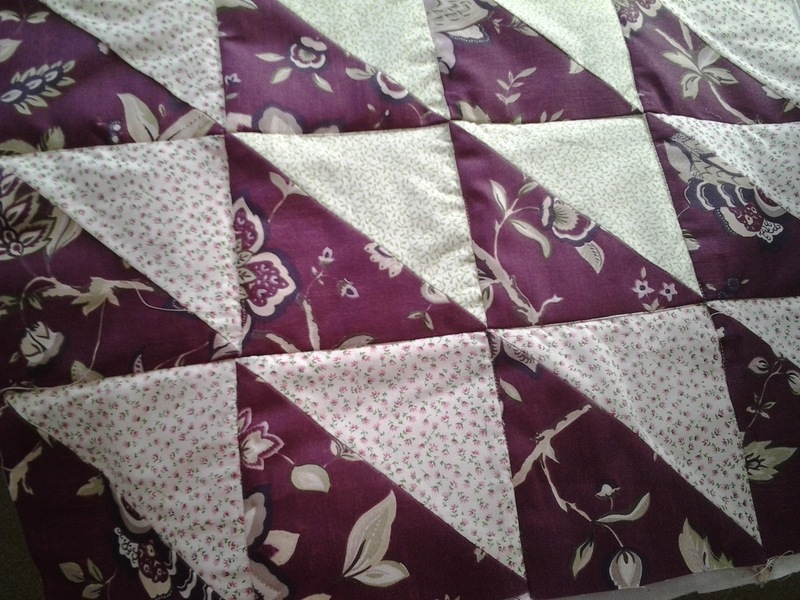 Choose a couple of contrasting or toning fabrics in a similar weight and using a self healing mat and rotary cutter make squares then cut them into triangles. Lay your design out until you are happy with it. Stitch them together in rows then join the rows together. Try to match the seams. Press every seam as you go by the way! You will end up like this. 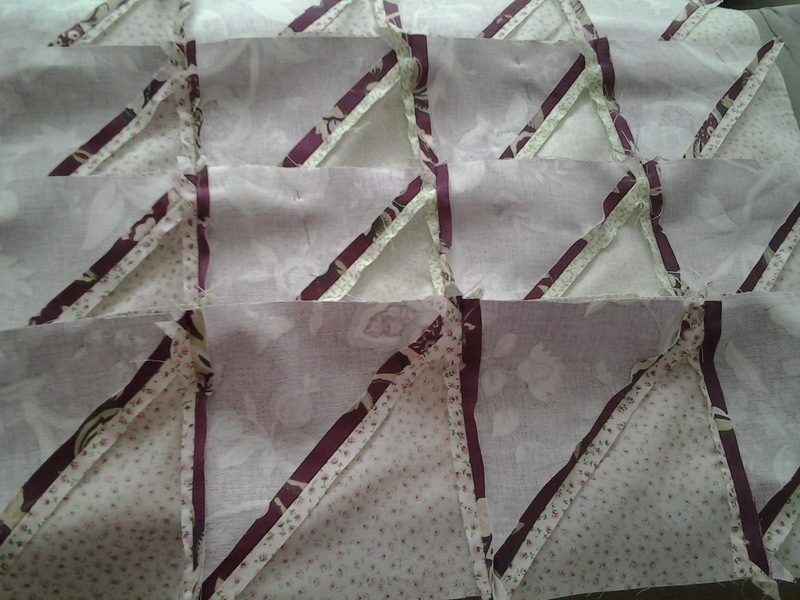 Once you have your piece of patchwork at the size you want cut out a piece of wadding and a backing fabric of cotton fabric. 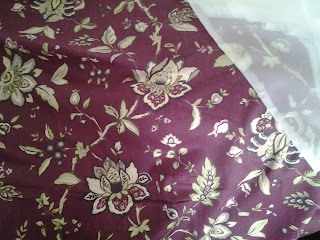 This cotton fabric will stop your wadding becoming tangled in the machine. I stick each layer together with a temporary craft glue which comes off easily, you can pin if you prefer. This is the finished front of the cushion. Cut out the back slightly wider than the front. Cut it in half and insert a zip. I am fond of invisible zips which you can buy from Jaycotts. And I use an invisible zip foot again from Jaycotts. A word about zips and cushions. You must consider your furniture when deciding if you should use a zip to close your cushion as some fabrics could be damaged by them. If in any doubt then a simple, envelope closure is perfectly fine. 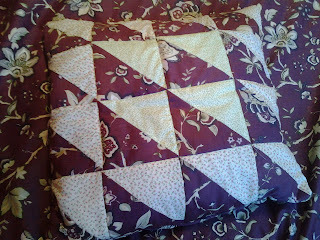 And this is the finished cushion, lovely isn't it? 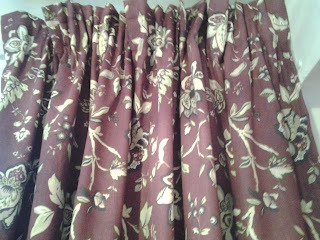 The next thing to make was the valance. 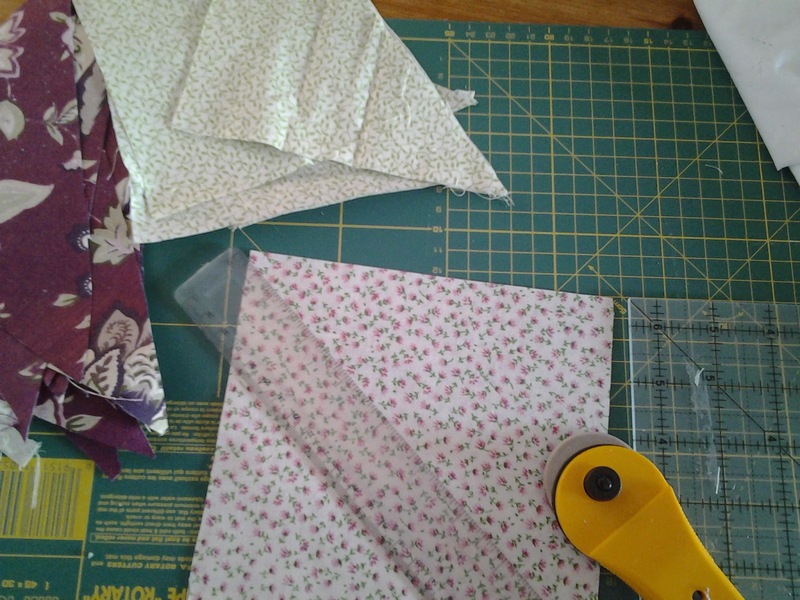 In the spirit of upcycling and in order not to waste any precious furnishing fabric I used the main part of the old one and just cut out a new skirt using the cut off one as a template. After all nobody but you will ever see the fabric between the bed base and the mattress. 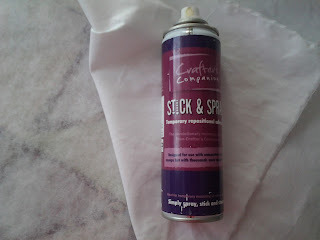 This saved a massive amount of my furnishing fabric. To make the bedspread I took my old one and cut off all the hems. I also rounded the corners. It is a king sized bedspread on a double bed. 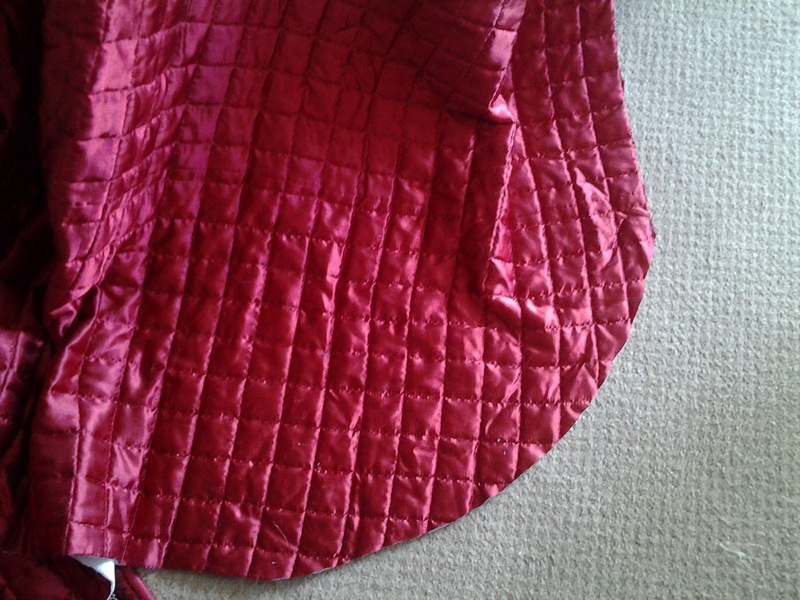 I had to join two pieces of fabric together in order to get a piece wide enough. 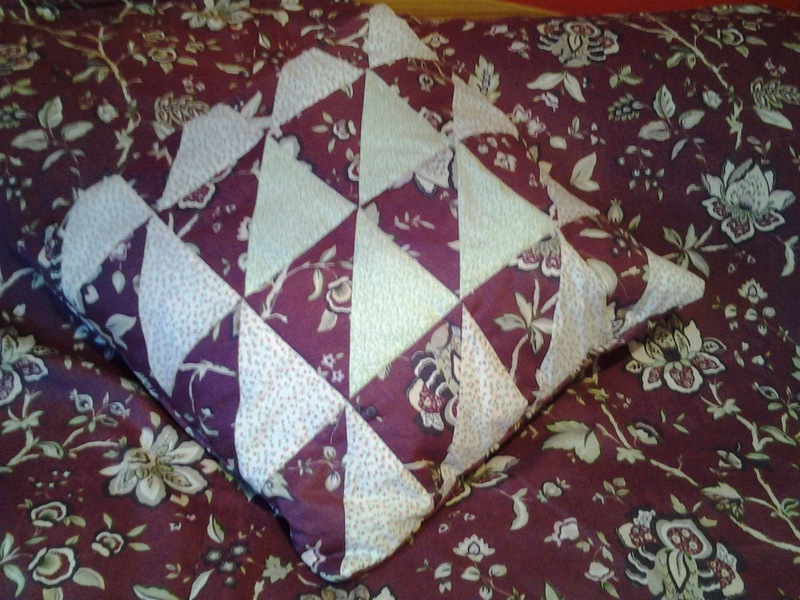 Once it is quilted nobody will notice, and if somebody does notice and are critical enough to comment on it ignore them and be proud of how thrifty you were. Clearing the whole living room floor I laid my main fabric right side up on the floor and put the old bedspread right side down on top of it. Start pinning the two together using lots of very long quilting pins. 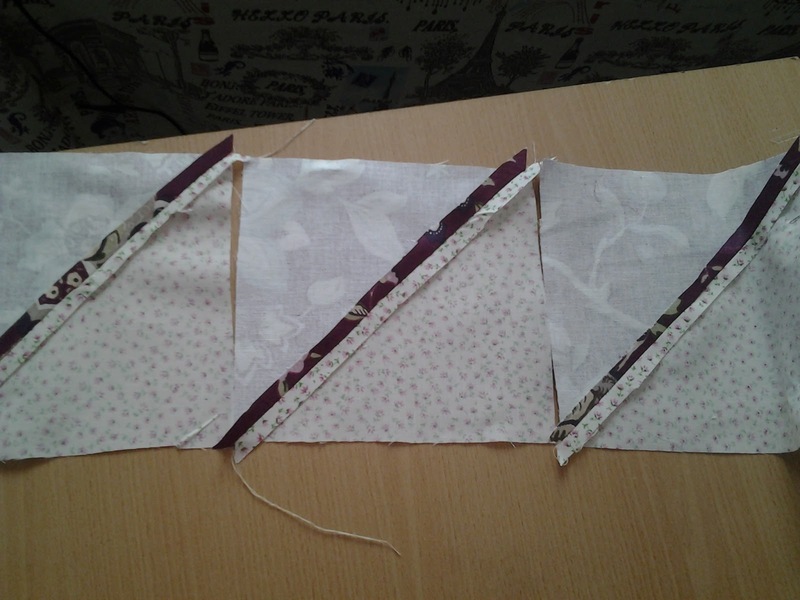 Stitch the layers together leaving a gap for turning. Make sure that you have plenty of bobbin thread! Turn right sides out, slip stitch the gap. Press. 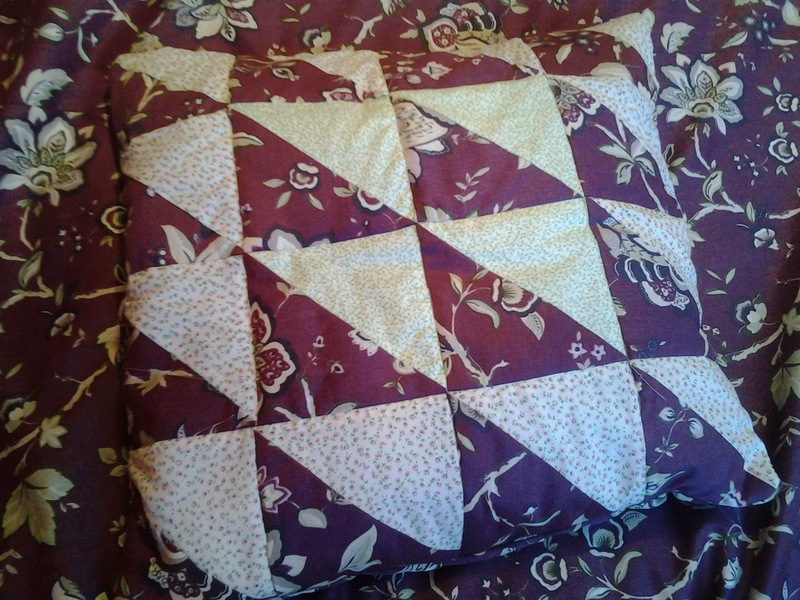 Start quilting in any design you like. This is where I must make a confession. 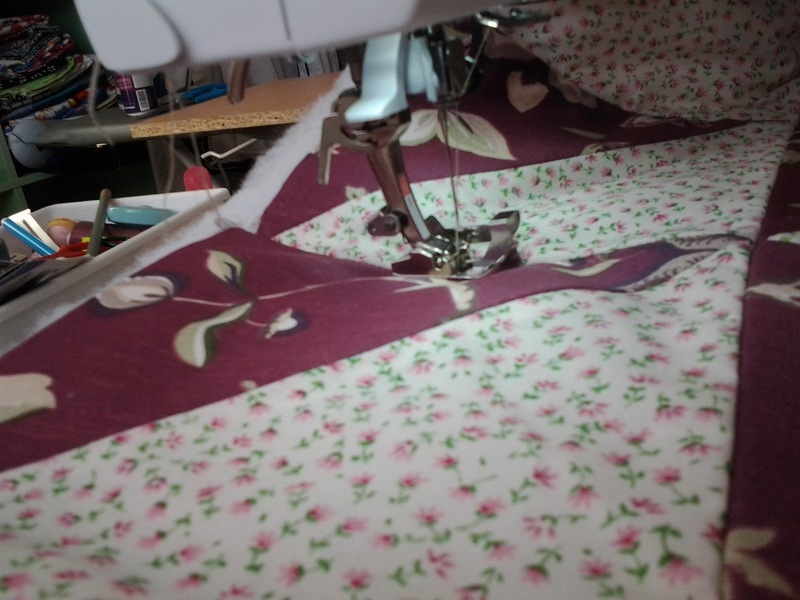 Quilting is not a summer job. I found that out the hard way because being enveloped in a huge quilt on a hot evening is not pleasant, not at all. 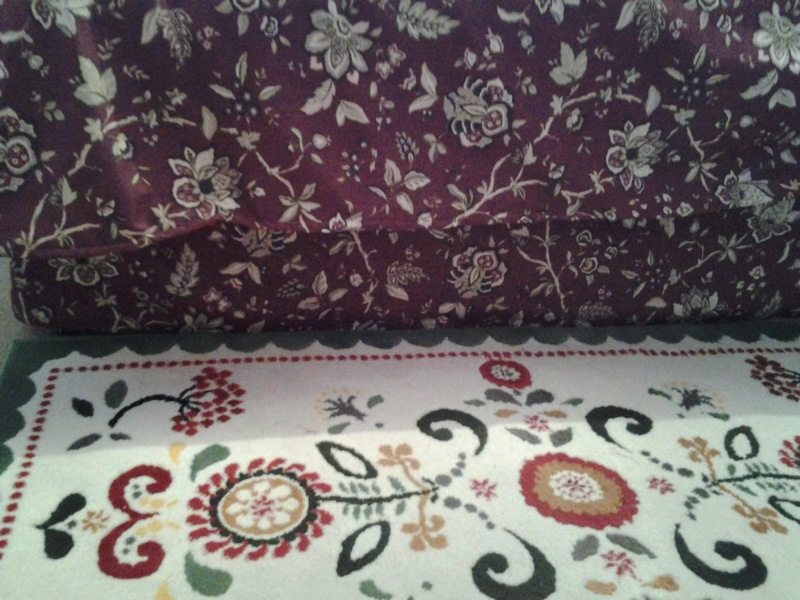 So, all I did in tne end was to stitch around it about two inches in from the edge. Pressed it and put it on the bed. When I get a cold day I will no doubt get around to finishing the quilting meanwhile it is fine as it is! I made some voille curtains and tied them back with plain ribbon. And that is the end - for now - of my adventures into replacing my soft furnishings, at little cost I might add. 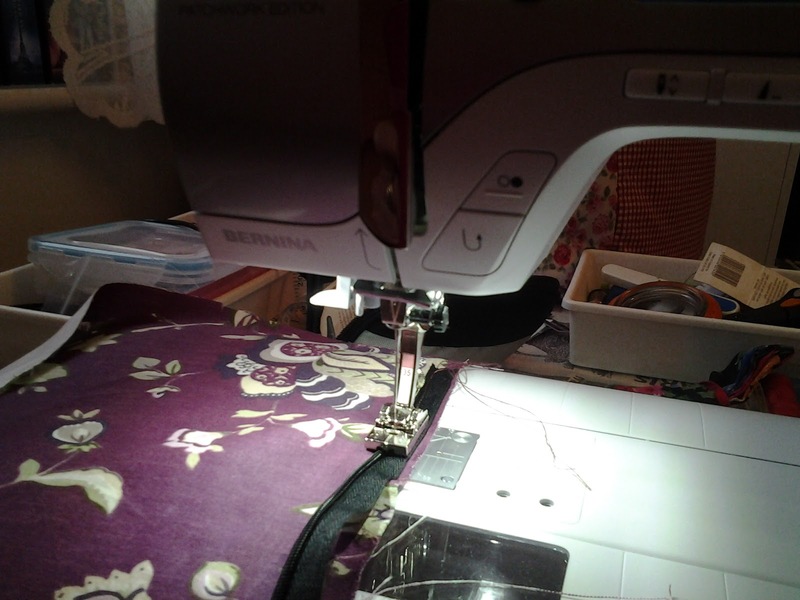 So, whenever you sew something remember that you are the only person you have to please so don't criticise yourself if it does go a bit wrong, most mistakes can be rectified, it is what stich unpickers were made for! Thank you for reading this. Please do not hesitate to comment or ask questions. Jaycotts too welcome questions about all of their products and will add you to their mailing list.